Production on the new season is expected to begin this Summer on location in Northumberland. When Vera finds the body of a woman in the sauna of her local gym, she wonders briefly if, for once in her life, she's uncovered a simple death of natural causes. But when a closer inspection reveals bruises around the victim's throat, Vera's team start their investigation. Vera and her colleagues soon uncover details in the victim's past that may explain her untimely death. 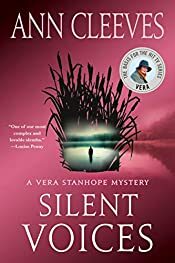 But Vera knows from experience that there's no such thing as a simple case, and this one gets more baffling by the minute.